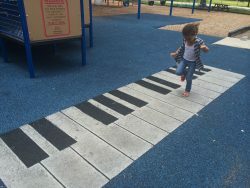 Al Lopez Park has a great interactive playground to suit kids of all ages. Children can have fun for hours as they climb structures, swing, slide, balance, and many more physical activities. This park is the ideal destination for joggers, walkers and bikers and even fishing. The looped trails run through forests and beside ponds. Fishing is popular here. The park also has facilities for picnics and other events. A spacious dog park has enough room for your furry pals to run with ease. Al Lopez Park is conveniently located a short walk from Raymond James stadium and the George Steinbrenner Field.